Complete 2 tasks with 1 cable using our charging/data cradle. 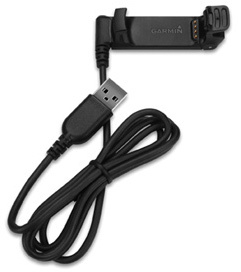 Connect the cable to your computer's USB port to recharge your Forerunner 220 and to transfer data to and from your computer. This cable also pairs with an optional AC adapter (sold separately).